We came, we saw, we wondered? Things aren’t as they sound in Iran, or are they? 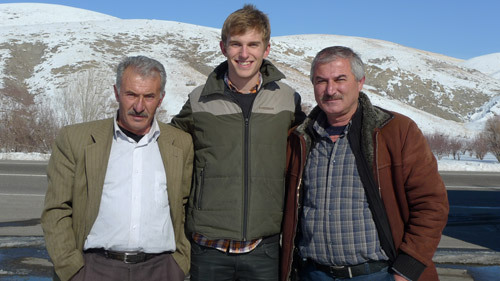 We thought we would enter the scariest country in the world, while in fact we met one of the friendliest. We’re writing this travel report in a hotel room that we didn’t pay for. Our latest Iranian friend did. Eating tangerines that he supplied us with. We entered Iran up in the north-west city Piranshar. It’s a Kurdish city, and right at the border we met a guy who drove us to town and invited us to his home. We stayed there for the night, ate with his family and slept in his brother’s room. Invitations in Iran happens all the time… the people are eager to show foreigners and tourists that they indeed are much friendlier than their government. And they really do succeed in this attempt. In Iran there are several ethnic groups. One thing unites them though: no matter what group a person has belonged to, they have all expressed their wish for a more free and liberal Iran. And they have all helped us in any way they could. After Piranshar we went to Tabriz. This was the first time we saw a local bus with separated areas for men and women. That was… interesting! We also noticed that all the women weared head scarfs, but most of them wore them in very creative ways! The most creative ones doesn’t show much scarf, but a very beautiful hair style, combined with the latest fashion. 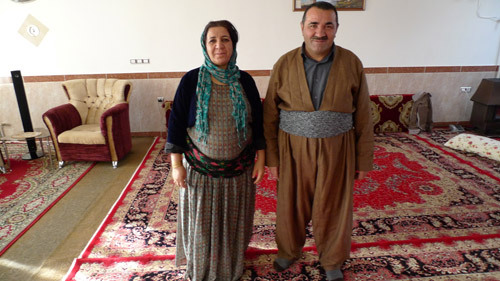 In Tabriz we visited two families, and they showed us Iranian customs and told us where to go in Tabriz. Thank you friends! Two Turkish truck-drivers took us to Iran’s capital city Tehran after two days in Tabriz. In Tehran we ran into one of the most disgusting things we’ve ever seen during this trip. In their fast food restaurants they serve…BRAIN! Plain brain with tomato slices on top. Apparently the brain of sheep is a real delicacy. We’re not gourmet enough to try, and this made us really suspicious about the rest of the food that we ate during our stay. This suspicion was rather sound, unfortunatly: On several occasions (we always order vegetarian) we’ve been served a soup, stew or something else and it has contained… lots of meat! ”It’s only a LITTLE chicken, low meat, don’t worry about it!”. Several times when we asked for vegetarian and has troughoutly explained that it means ”No chicken, no cow, no lamb, no fish. Cluck-cluck-cluck NO! Moooo NO! Baaaah NO! Fishy-hand-movement NO!” the waiter has answered – ”Kebab? No rice- OK.?”. However, we tried arranging the Chicken Dance in Tehran. And this is when we learned that it is forbidden for girls and boys to dance together in public. We succeeded in a very different way later on. The nature of Iran is stunning. It’s clean, it’s bright and it’s marvelous. It’s worth visiting Iran just to catch a glimpse of the amazing scenary that you’ll find here. The mountains are high in the North, but somehow they still do manage to build their roads flat… You won’t get car sick as you might do in Turkey for example. 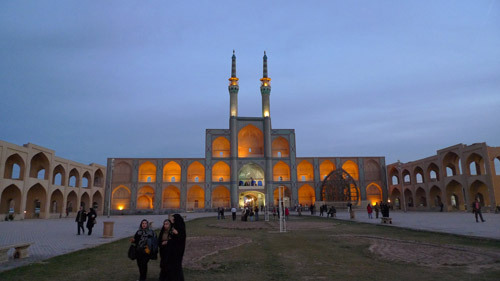 We spent a few days in three smaller cities: Esfahan, Yazd and Kerman. They all have historical sites and buildings, but that’s not why we travel. No, we travel to meet people! And met people we did. We had a picnic with a nice family (and their extended family) in Esfahan. We hitchhiked with a rather doubtful college researcher who we later became great friends with. We got invited to stay with a few movie lovers (”Who’s the greatest actor, Robert De Niro or Al Pacino?”). And we got help arranging the Chicken Dance. With that being said, people have been so nice to us. Islam in Iran is different from Islam in Turkey or Syria, for instance. In Iran, both women and men visit the main room in the Mosque, and only a curtain divides them. In Iran some muslims only pray three times a day, instead of five. Somehow they manage to compress five times into three. The mosques are really worth seeing, it’s art! We’ll probably visit Iran at some point, but that will be after the unavoidable revolution that is to come. Inshallah! 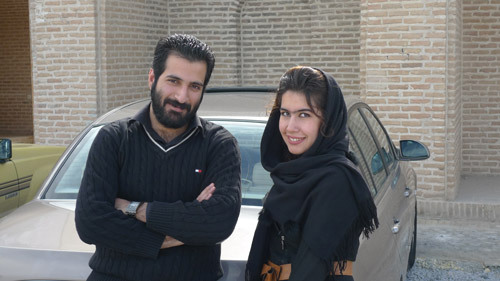 Some of the people that we’ve met in Iran have had the guts to complain about their limitations and lack of freedom. Few seems to be happy with how it is now. We bring with us the impression of a well-educated people, dressed in proper fashionable clothes longing to throw the scarfs and being able to enjoy the freedom like other countries do. We do however believe that more people should visit Iran. It is good for the people, the country and it helps understanding the difficulties that the people of Iran are facing. Ali with family, who drove us from the border and invited us to their home. Ahmed who drove us from Piranshar to Nagadhi. Taher who showed us the ancient hill. Torech and Sassan who bought us pizza in Orumieh! Sadek who drove us from Orumieh to Tabriz. Ilan who drove us from Tabriz to Tehran. Esma who drove us from Tehran to the freeway. Majid who drove us from the freeway to Qum. Mehran who drove us from Qum to Esfahan. Yusuf with family who invited us for picnic in Esfahan. Ali who drove us from Esfahan to Yazd and also invited us for dinner. Lucy and Mohammed who drove us from Yazd to Mersin and bought us lunch. Abulfaz who took us a few kilometers from Mersin to an unknown place. Sayid who drove us to Kerman. MJ, Hussein and Ali for a great time and for being awesome! Maran who drove us from Kerman half way to Bam. Reza and Mohammad who drove us the other half to Bam. Mehedi who drove us from Bam to Fujah, until we hit a sand storm. The afghan guy who drove us from Fujah to Zahedan. 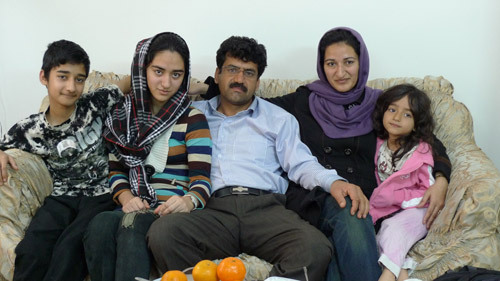 Nasr, Mansoor and their family for a great night in their home in Zahedan and the beautiful clothes! Hamid with family for inviting us for lunch (even though it was breakfast), got us a hotel room and showed us around town. The three guys who took us out for pizza at the end of our visit in Iran. It was a great night, and we were very happy to meet you! Thank you for being a part of our story, experience and relationship to Iran. Hi Ilhan – of course we remember! Sorry for the very late answer… Hope that you’re having a good time! Thanks again for driving us :) ! We’ll hope for that as well! Keep rocking! Iran’s one of the greatest countries in field of culture and civilization. You are right, Iran is very impressive in terms of culture and civilisation. It was a pleasure to visit your beautiful country! when I saw your photos I made a wish to be able to go to travel like you! oh! I didn’t introduced myself. My name is Zohreh and I am from Kerman in Iran. I guess that you are interested in study people. Bazzars in Kerman are a suitable place for your purpose. I will be glad to invite you to have another trip to Kerman. Thank you Zohreh! Kerman is a very nice city, and we made some very good friends there. Hope to go back some day!